A spike buster or spike guard is a device that has multiple power sockets and is used to protect your electronic and electrical devices from voltage spikes or surges. It is most commonly used with computers, printers and other electrical devices that are sensitive to voltage spikes and high current. It is also used an extension device where you have only power socket and multiple devices to connect. It is also called as Power Strip. A Spike Buster or Spike Guard usually consists of a surge protection circuit (consisting of varistors) and a fuse which blows off when the excessive current passes through it. Here in this post I will tell you on how to find a good spike guard and list some of the best spike busters that you can buy for your computer and other electronic gadgets. 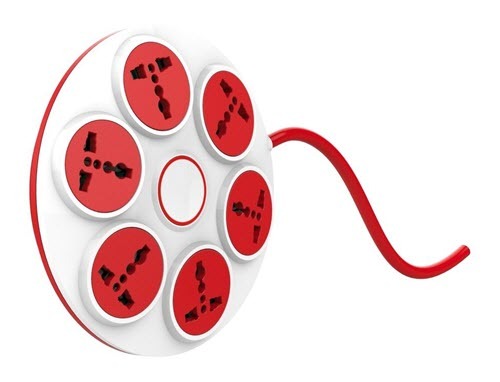 Here are various important things that you should look for when choosing a spike buster or power strip. Number of Power Sockets – Spike Guards or Power strips comes with different number of power sockets or power outlets. Some comes with 3 sockets, some with 6 and some have 8 power sockets. So buy it according to your requirements as spike busters with more power sockets are expensive than the fewer ones. 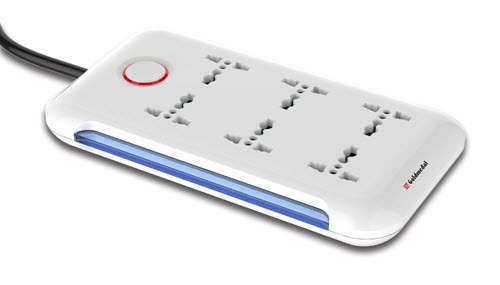 Protection Features – See that the power strip or spike guard comes with surge protector and overload protection features. This is because cheap and local power strips comes with no protection at all. 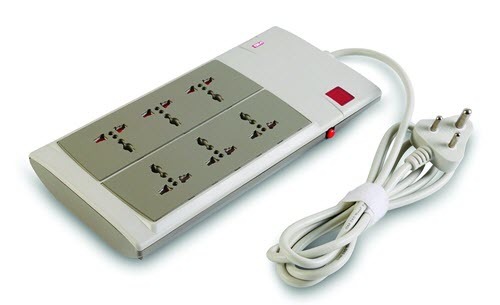 A good power strip should have at least surge protection and a fuse. USB Charging Ports – This is optional but if you want a spike guard that charges your phone without any adapter then you can look for a power strip with inbuilt USB charging ports. Maximum Capacity – Every spike guard has a maximum load or limit in terms of current and power it can handle. Basic spike busters are rated at maximum 6A current output while the heavy duty spike guards can handle 10A current and maximum load of 2500W. So if you have devices that draw more power and current then go with heavy duty spike guard otherwise for normal usage a basic one is sufficient. Switches – A spike guard may have one master switch for all sockets or individual switches for each power sockets. You can choose any one of them according to your needs or requirements. Brand or Company – A cheap unbranded spike guard can do more harm than good. Always buy a branded spike guard because it will provide your devices unmatched protection and also lasts longer. Some good brands of spike guard are Goldmedal, Gavik/Tukzer, GM, Belkin, Artis. Here are the best branded spike guards that you can buy for your computer or other electrical & electronic devices in India. GM is a very good brand that is known for making high quality electrical switches, spike guards, plug tops, power sockets etc. Here from GM we have GM E-Book 4+1 Power Strip or Spike Guard. It has four high quality international power sockets that can fit any kind of power connector. Below are the major specifications of this spike buster. Goldmedal is an Indian company that manufactures high quality electrical switches, cords, spike guards and more. In fact it is my favorite company when it comes to spike guards and power strips. Here we have Goldmedal Essenza 4 X 4 Power Strip with USB. 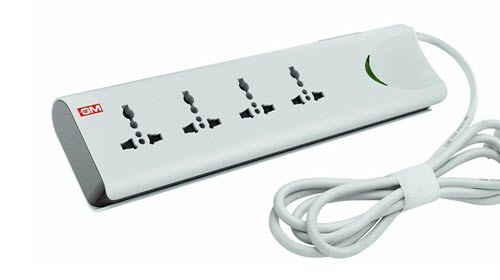 This spike guard or power strip has three power sockets and two USB charging ports. All the power sockets including USB ports have individual ON/OFF switch which comes in very handy when you have to turn On or Off individual devices. The USB charging ports have total output of 5V, 2.1A which is enough to charge any Smartphone or Tablet. Highly Recommended USB Charging Spike Guard. A high quality four power socket spike guard from highly reputed company Belkin. A simple but reliable Spike Buster that does its job efficiently. It is a high quality Spike Guard from Goldmedal that has fancy blue LED lights on both the sides. The Spike Guard looks beautiful with its edges glowing in blue color. It has six international power sockets, one master switch, one reset switch and led indicators. I personally have this spike guard for my computer and laptop and it is amazing. Highly Recommended by me. A six power socket spike guard from the reliable company GM. It has got one master switch, surge protector, reset switch, thermal trip. A very high quality spike buster that can support maximum load of 10A. Gavik or Tukzer is also good brand for spike guards or power strips. Here from Gavik we have Gavik/Tukzer 8 Way + 2 USB Port Spike Guard. It has 8 power sockets and 2 USB ports for charging for mobiles phones and tablets. The build quality of the spike guard is solid and the performance is great. So if you have to many connect more than six devices then this is one spike guard to look for. Another high quality spike guard from GM. It has seven power sockets and 2 USB ports for charging your mobile devices. The output of the USB port is 500mA which is tad low and it will take longer to charge your mid-sized smartphone. But like all GM products it is very efficient and performs to your expectations. Another very reliable Spike Guard from Goldmedal that has unique 360 degree design to save space. It is round in shape and contains 6 international power sockets. Protection features and quality remains the same as with other Goldmedal products. 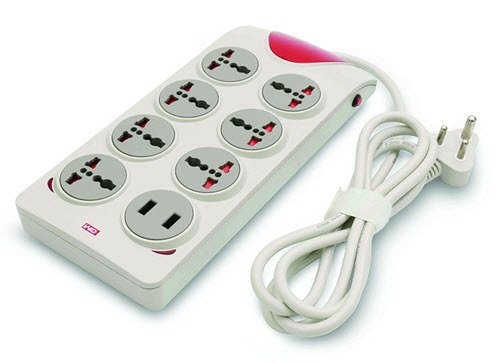 It is a four power sockets power strip from Goldmedal that has individual ON/OFF switches. Suitable for computers, laptops, video games etc. If you have any queries or doubts on which spike guard to buy then you can ask me by leaving a comment below. Which cord are you talking about and can you post the image of your setup. just change it to a better one. 6 amp is the maximum capacity and the monitor will not consume more than 1 amp. can’t really say from here but check it directly without any spike guard or extension. I think the reviews are more positive. I have used other storite cables and they are pretty good. It is better to have fuse in your spike guard rather than in cable. I have used spike busters of many makes for my computer,speakers,printer and broad band connection. The spike buster does not last very long and the plug points get bad one by one.I think it created a problem to my copmputer also. Could you please advise me good spike busters to be used for TV, Fibrenet connection,DVD player and TV modem with individual switches?? Goldmedal is good and even better than belkin. Trust me, i am also using it. But this model does not have overload protection fuse.Is that okay? Why is that the switches and then the sockets get bad and stop working? Is that due to overheating? This problem should get solved with individual switches? It has surge protection and this is the best you can get in individual switches. 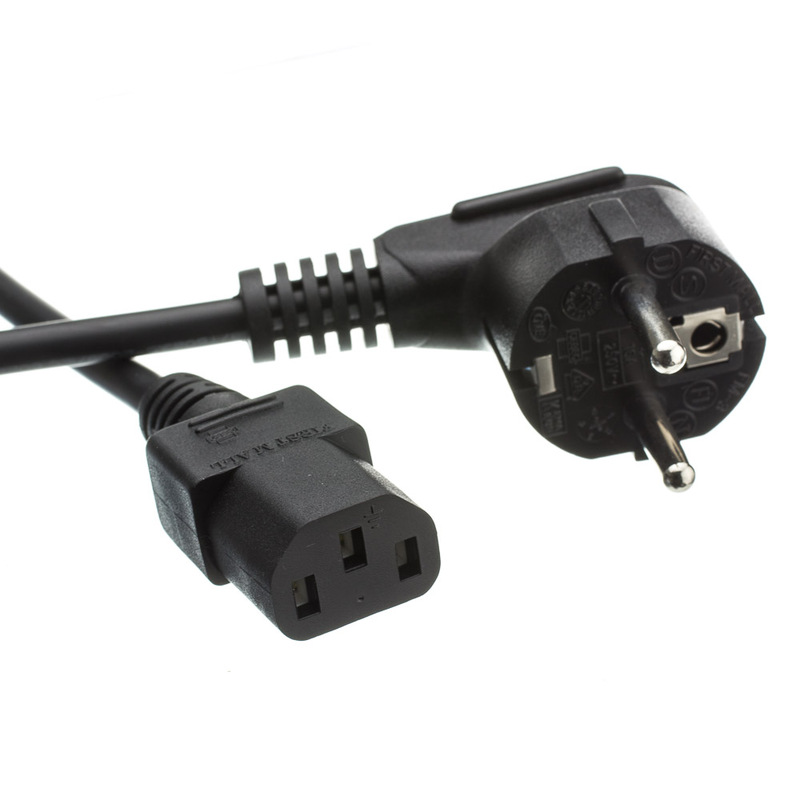 Most surge protectors uses cheap quality parts and therefore they get damaged easily. I am using goldmedal products for about an year and i have not faced any issues. Try it and you won’t be disappointed. As per the official site it does come with surge protection http://www.goldmedalindia.com/ProductDetails2.aspx?pid=715. 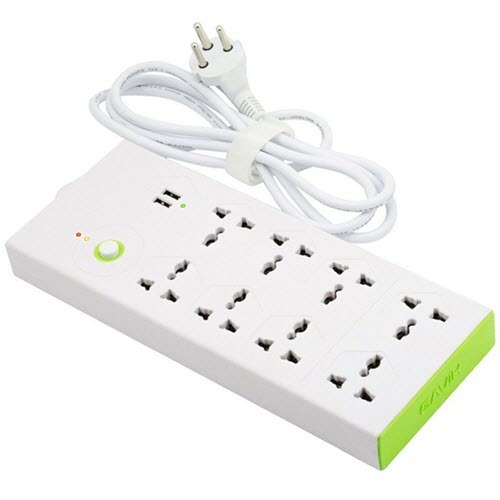 the company calls it clearly as a power strip and one of the reviews also says it is not a spike buster. Specs under Amazone,Snap deal also do not say anything about surge protection. Company is misguiding if their official site calls it a surge protector.Atleast you should not recommend such products/companies at the cost of your personal reputation.Could you please ask the company to respond please? You may contact the company and ask for the clarification on this. FOR 2 LAPTOPS 1 PRINTER AND 1 WIFI. The best you can get is GM Modular 3060 spike guard that comes with 2m long cable.